Will Donald Trump's State of the Union Address be unifying or will he seize the opportunity to rant about the U.S.-Mexico border wall? If you were hoping to hear anything soothing and unifying in President Donald Trump’s State of the Union Address on Tuesday—perhaps even assurances that a government shutdown will not happen again over a policy issue like immigration—you may want to stop holding your breath. 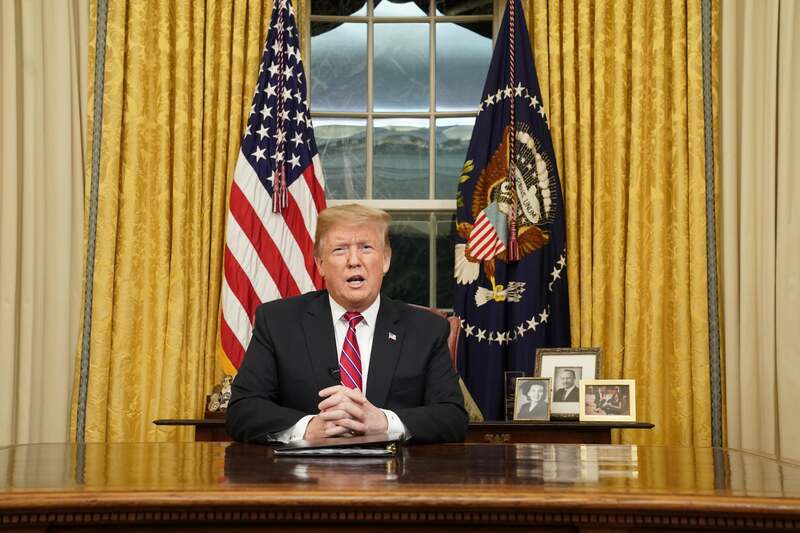 “With Caravans marching through Mexico and toward our Country, Republicans must be prepared to do whatever is necessary for STRONG Border Security,” the president tweeted. “Dems do nothing. If there is no Wall, there is no Security. Human Trafficking, Drugs and Criminals of all dimensions – KEEP OUT! That is not to say, of course, that one tweet means that Trump cannot possibly deliver a speech outlining bipartisanship and vision for a hopeful future as the White House has said to expect, but on the other hand, Trump is not quite the one to always stay on message. Of course, as CNN notes, it could be that the tweet was meant more of a distraction than anything else, coming out shortly after Axios revealed that the president has spent about 60 percent of his scheduled time in unstructured “executive time,“ which basically means watching TV, making phone calls and holding meetings. It will be interesting to see what side of Trump comes out during the State of the Union address, and of course, what kind of behavior follows. Nonetheless, Democrats have made it clear that they are willing to negotiate on all manners of border security, once it doesn’t include the “archaic” wall, and the American people have already spoken on their thoughts of border security and the shutdown. A CBS News poll on Sunday revealed that 66 percent of Americans believe that the president shouldn’t declare a national emergency if he doesn’t get Congress to fund the wall, while 73 percent of Americans say that if an agreement for funding is not met by Feb. 3, the government should keep running while negotiations continue.